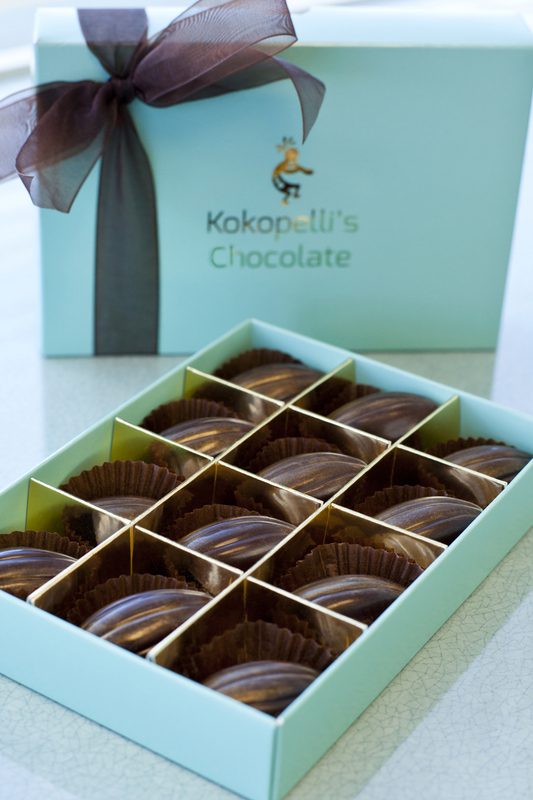 A box of 12 of Kokopelli's soft, rich sea salt caramels. Our sea salt caramels are soft, flowing and rich. They are encased in a dark chocolate shell in the shape of a cocoa pod, and dusted with gold lustre dust. 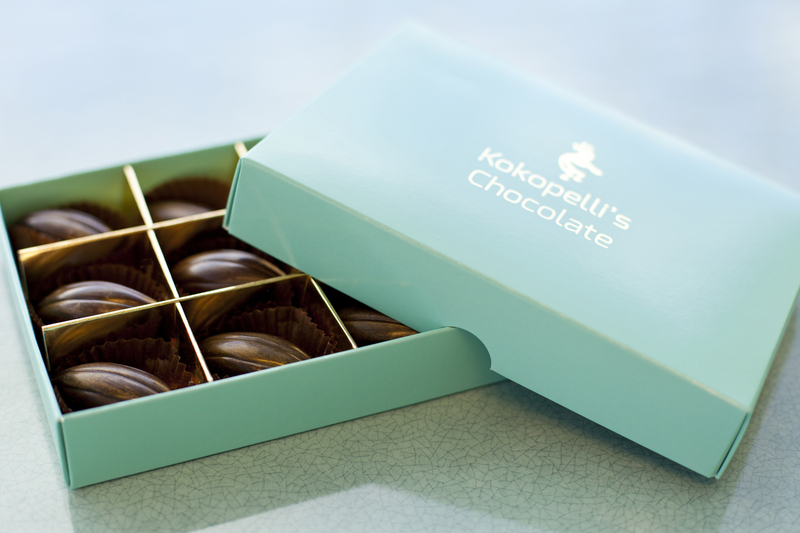 Our handmade, fresh chocolates have a shelf life of 2 weeks. Includes a chocolate menu card. If you would like to include a handwritten message with your chocolates, please leave the details in the order notes box provided at checkout. 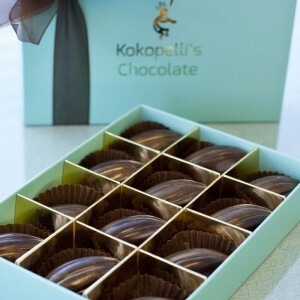 Your chocolates will be dispatched within 2-3 days of receiving your order, sent by 1st class recorded delivery.